Yes, game development has always been my passion and I started working on my 1st game - 'Moonga' when I was still a student. 'Casa Tookan' is an app with a completely new concept, it uses two different blockchains “under one roof”, so we had to deal with two different technologies and implement them in the app. 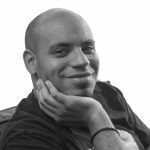 A passionate game developer and self-confessed blockchain geek, Shaban founded 'EverdreamSoft' in 2010, with the idea of using blockchain technology to give players true ownership and control of their digital assets. Shaban graduated from the University of Geneva where he studied Information Technology and Business. His first trading card game 'Moonga' launched in 2009. He launched TCG 'Spells of Genesis' in early 2017, to enable players to purchase and trade in-game cards using either in-game currency, cryptocurrency, or both. Today, Shaban is pioneering the development of the 'Bitcrystals' platform, an ecosystem for helping game developers to get their games onto the blockchain. Probably my favorite one and the one I spend the most of the time on is 'Reddit'. It helps me to stay tuned, to know what’s going on in the fields of my interest and to never miss anything. The development itself started in April this year, so it took us about 6 months to the initial release, but 'Casa Tookan' is still not a final product, we have a lot of exciting and innovative features in the pipeline. Being able to manage all their blockchain assets in an easy and fun way, without bothering themselves with the technicalities. 'Casa Tookan' is the first app offering the BTC and ETH assets management, without the necessity of switching from one chain to the other one. 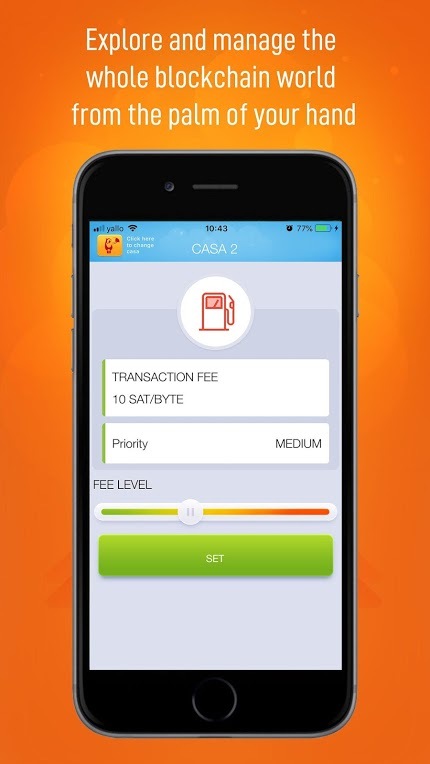 It has all the classical blockchain wallet features, but while most of the blockchain wallet apps are either BTC or ETH compatible, 'Casa Tookan' works with two different blockchains (and it will be able to manage more in the future). We wanted to allow people interested in blockchain games and collections to control their digital capital from the palm of their hand. To provide a software allowing them to view all their blockchain valuable assets in one glance. It also has an integrated browser, so players can connect to their favorite DApps directly within the wallet, without quitting the app and opening another one. 'Casa Tookan' contains a newsreader providing its users with the latest news from blockchain in gaming sphere. We wanted to provide a tool where people can live and experience blockchain technology in one place. 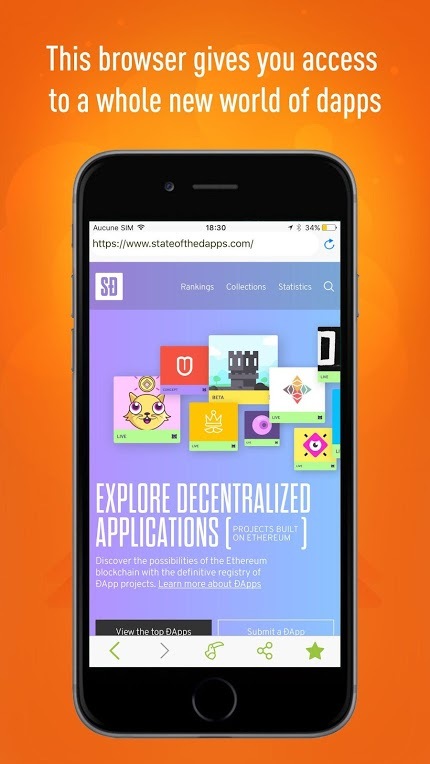 This app is much more than a blockchain wallet, that’s why it is unique. On the server side, we’re going to provide developers with tools allowing them to seamlessly integrate blockchain with their games. When the technology is mature enough, we’re planning on adding atomic swaps (swap of tokens between different blockchains), and we have much more features waiting in the wings, but I can't disclose any details yet. I’d like to invite all users to download the app and come frequently to see what’s new because we have gifts regularly for all those using the app! I would also like to suggest them to join our community on 'Telegram' and 'Twitter' to chat with other users and our team members. We are happy to hear about their ideas and comments. We also run contests and quizzes and they can win great blockchain gifts. About App: The next-generation dual-chain Casa Tookan wallet simplifies and eases the management of your digital assets. This new Bitcoin-Ethereum mobile wallet for blockchain gamers & collectors securely and privately stores your digital assets and collections. Your digital estate is protected by a secure 12 words passphrase to ensure you are the only custodian of your digital property. 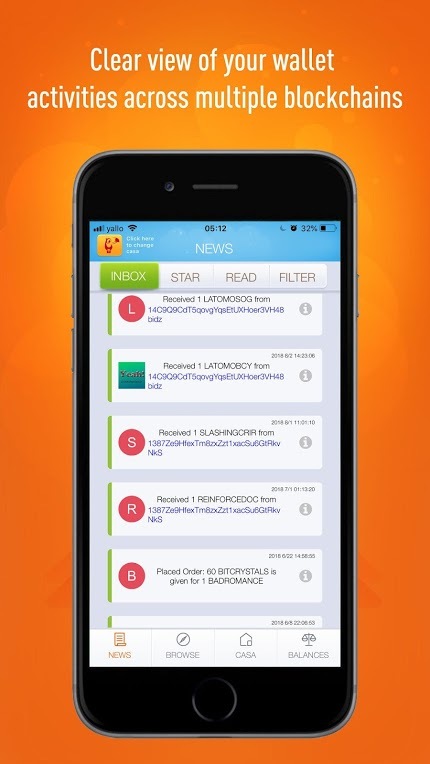 Casa Tookan contains an integrated DApp browser, a dedicated news feed and other useful features. Its intuitive interface makes trading a breeze. Each user account is called an “estate”. Each estate may contain up to 20 “casas” (accounts). Each casa is made of a pair of Bitcoin and Ethereum addresses. Main Features: • Two-in-one (BTC/ETH) digital wallet. • Convenient & ease of use. • Easy preview of all transactions. • QR code transactions and more.